This product requires the base game Watch_Dogs. Download the Season Pass to save over 25% and get immediate access to the Untouchable pack which includes a new skin and a new weapon. Please note: Requires the Watch_Dogs™ base game on Uplay to redeem. 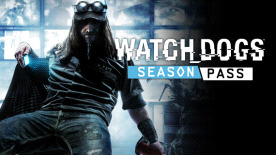 The Season Pass will not work on a Steam-purchased copy of Watch_Dogs.